30drop was collaborating with the modular synths wizard Pauk to create 2 Max For Live midi controllers for the drum machines Roland TR-09 and Roland TR-08. The integration with Ableton Live 10 and Push 2 is great! 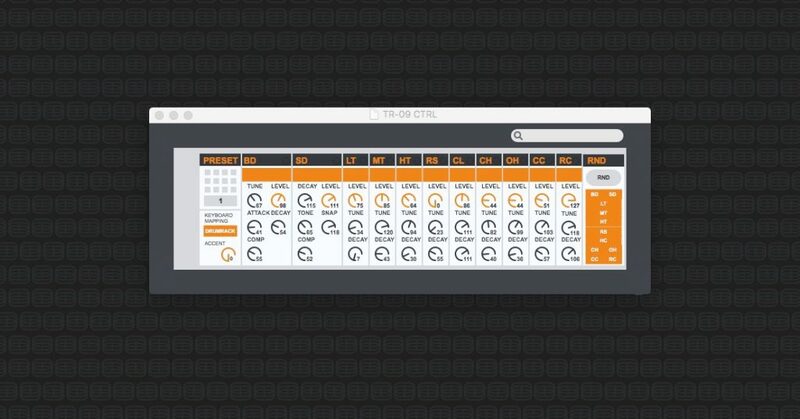 TR-09 CTRL is a midi m4l device to control the Roland Boutique TR-09. The UI is pretty close to the hardware, i’ve just added a preset manager, a drumrack mapping option and a ‘per part’ randomizer. The Preset storage section can save up to 12 presets within the Live project. The Keyboard mapping option changes the mapping between the original mapping and a consecutive mapping, perfect to be used in a drumrack. Included is a Drumrack preset with the device ready to be used in Live 10. The last device on the Drumrack is a Ext.Instrument device, be sure to route the midi input and the audio input correctly in order to use it right. lected on the patch (the track needs to be armed and the input routed from the TR-09 to respond). 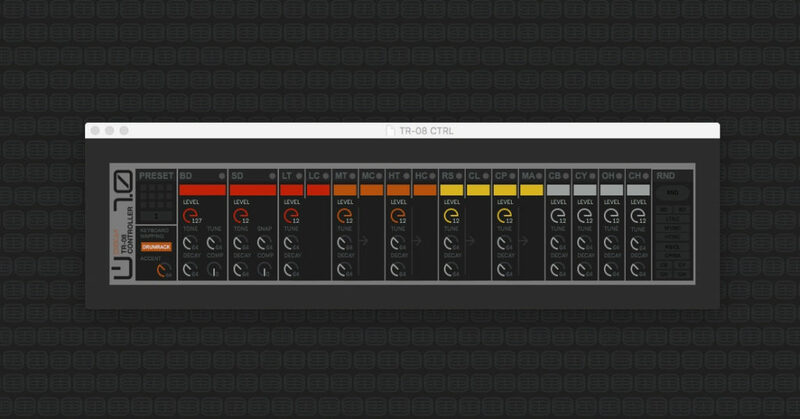 TR-08 CTRL is a midi m4l device to control the Roland Boutique TR-08.
lected on the patch (the track needs to be armed and the input routed from the TR-08 to respond).